DIY laundry detergent: Does it wash up? A lot of things can be easily made at home for a fraction of the cost of buying branded products. But is the same true when it comes to laundry detergent? Whether you want to save money, the environment, or your skin (from irritating ingredients), making your own home cleaning products can be quite a good idea. However, it’s important to be really careful about what you put in your washing machine – you don’t want to ruin your clothes, or your machine. Does DIY laundry detergent work? This really depends on what kind of ingredients you use, and how you wash your clothes. Some recipes may work for top loaders but not front loaders, as the latter can’t handle lots of suds. Some recipes don’t work in high efficiency washes (HEW). And some recipes are just not reliable. Just because someone claims on their blog that their recipe is amazing, doesn’t mean it’s true. Putting the wrong products in your washing machine could cause immediate catastrophe or, more likely, a residue build-up on your clothes or within your washing machine that can be a pain to clean out or could cause serious problems if left undetected. Shaving a few dollars off your groceries bill could end up costing you much more in repairing or replacing your washing machine. It can be really tricky to make a good choice, though, as every blogger claims something different about what works and what doesn’t. 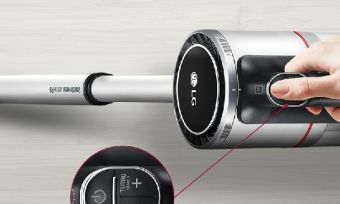 Trial and error normally is a good course of action, but when it involves messing around with an expensive appliance you’d be forgiven for being hesitant. If you’re really keen on giving it a go, we’ve found a few recipes that you may want to try. Most recipes use pretty much the same basic ingredients, but in different ratios. If you’re into experimenting, try a few different approaches to figure out which works best for your laundry needs – and budget! How much laundry detergent should you use? Laundry powder vs liquid: Which should you use? What goes into homemade laundry detergent? 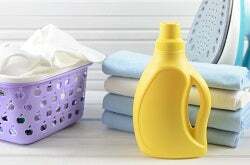 There are all kinds of combinations of things suggested to clean your clothes and linen. Some involve two different ingredients, some involve five. Let’s go through them and explain some of the most common ingredients, before comparing a few different recipes. Regular body soap and laundry soap are not the same thing. Don’t try to wash your clothes with a grated up or melted bar of the same kind of soap you’d use in the bath or shower, because it will just leave extra oils deposited on your clothes and in your washing machine. Even laundry soap may accumulate as a residue on your clothes, as modern washers don’t agitate our clothes as roughly as the old-fashioned washboard method. You can find laundry soap in the laundry aisle of your supermarket – brands that produce laundry soap include the likes of Lux, Velvet, Sard, Woolworths and Coles. Another laundry aisle ingredient, borax isn’t as well known but is a staple for DIY household products. Borax is most effective in hot water, so it can perform better when pre-dissolved into a liquid. It’s also limited in how far it can allow the cleaning pH to go up. Some recommend not mixing borax and washing soda, while just as many seem to combine both in the same recipes. 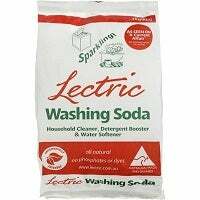 Washing soda is not the same thing as baking soda (aka bicarb soda). Baking soda is only half as strong as washing soda for softening water, and doesn’t allow the cleaning pH to go as high. Look for washing soda in the supermarket laundry aisle. Baking soda is often used in recipes anyway. 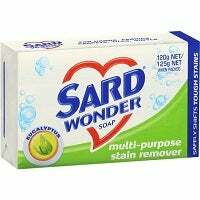 It can be a useful buffer ingredient for a more gentle wash on delicate laundry items. How do I make my own laundry powder? Grate the bar soap – by hand or food processor – into fine shreds. Alternatively, Zote can be sliced up, put into the microwave for about a minute, will expand, then dry and is easily crumbled by hand. Mix everything; may be a good idea to layer. This makes a lot, so recipe is scalable. How do I make my own laundry liquid? Pour mixture into 10L bucket, then fill with hot tap water. Stir to combine. Try these recipes at your own risk! Alternatively, you could just review which laundry powders and liquids are rated highest by Aussies with our annual customer ratings, via the link below.